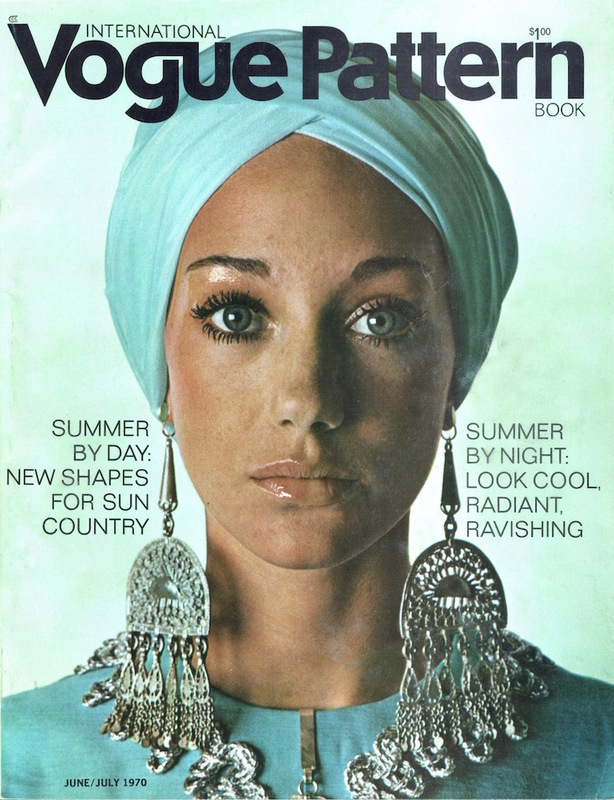 Marisa Berenson on the cover of Vogue Pattern Book, June/July 1970. Photo: Otto Storch. 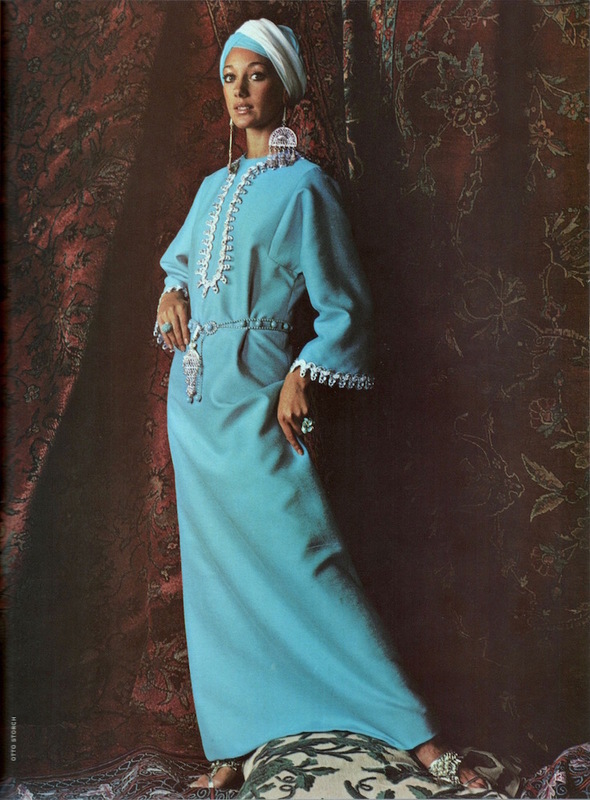 Marisa Berenson (b. 1947) turns 70 today. Though best known for her work as a film actor in movies like Visconti’s Death in Venice (1971), Cabaret (1972), and Barry Lyndon (1975), Berenson grew up wanting to be a fashion model. Her career was launched when she met Diana Vreeland at a society ball, and she became one of the most successful models of the ’60s and ’70s. For more, see the visual biography Marisa Berenson: A Life in Pictures (Rizzoli, 2011). 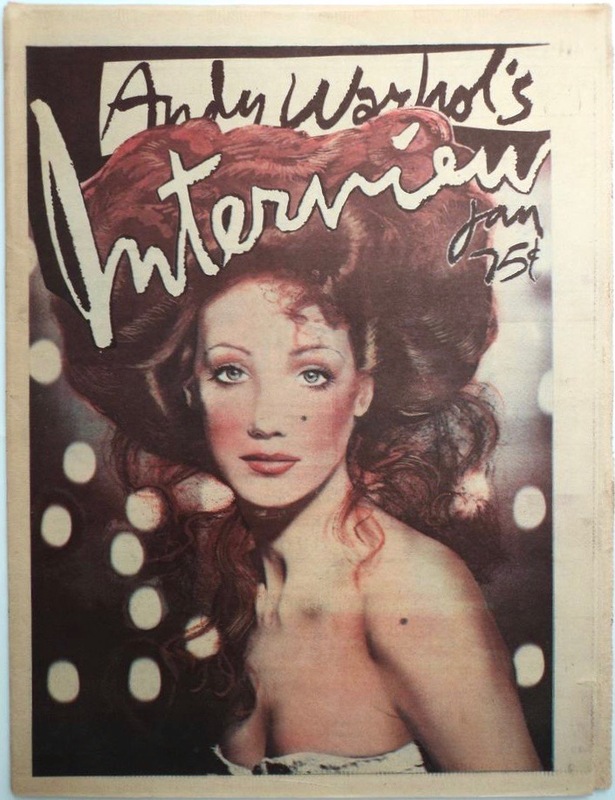 Marisa Berenson as the Countess of Lyndon on the cover of Andy Warhol’s Interview, January 1975. Image: eBay. Vogue 2369 by Oscar de la Renta (1970) Image: Etsy. 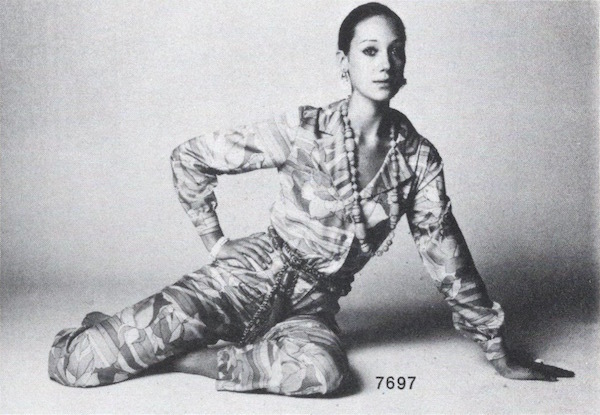 Marisa Berenson in Vogue, August 15, 1966. Photos: Guy Bourdin. 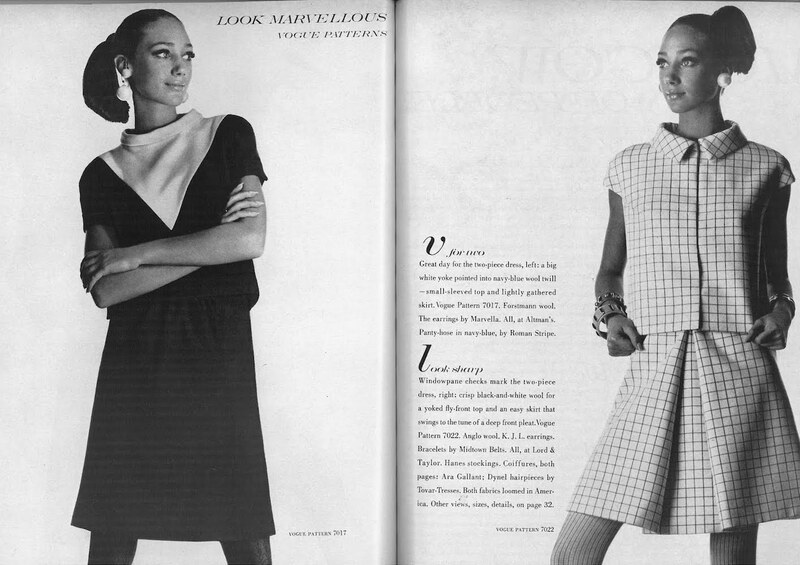 “Look Marvellous”: Marisa Berenson in Vogue, January 15, 1967. Photos: Irving Penn. Image: Youthquakers. 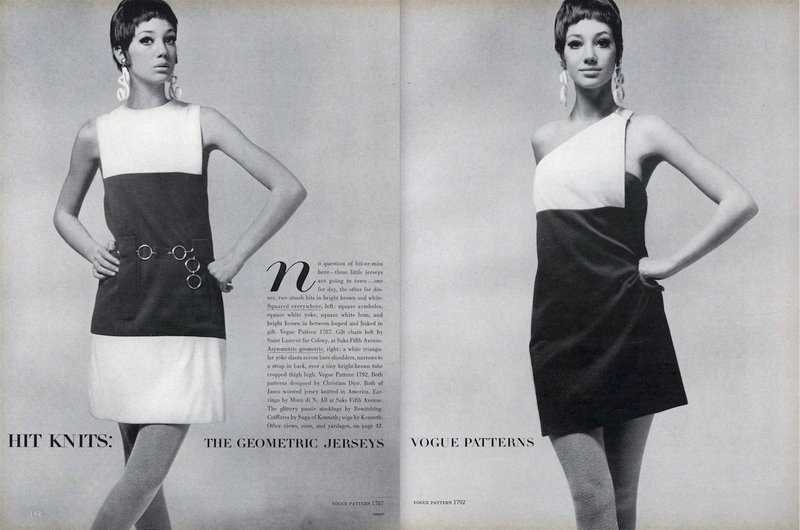 “Hit Knits: the geometric jerseys.” Marisa Berenson in Vogue, June 1967. Photos: Gianni Penati. 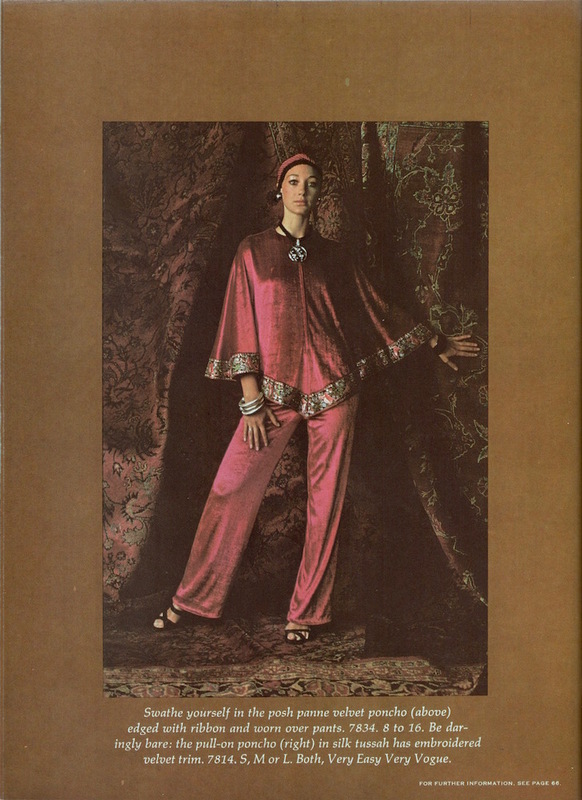 Vogue 7836 caftan, Vogue Pattern Book, June/July 1970. Photo: Otto Storch. 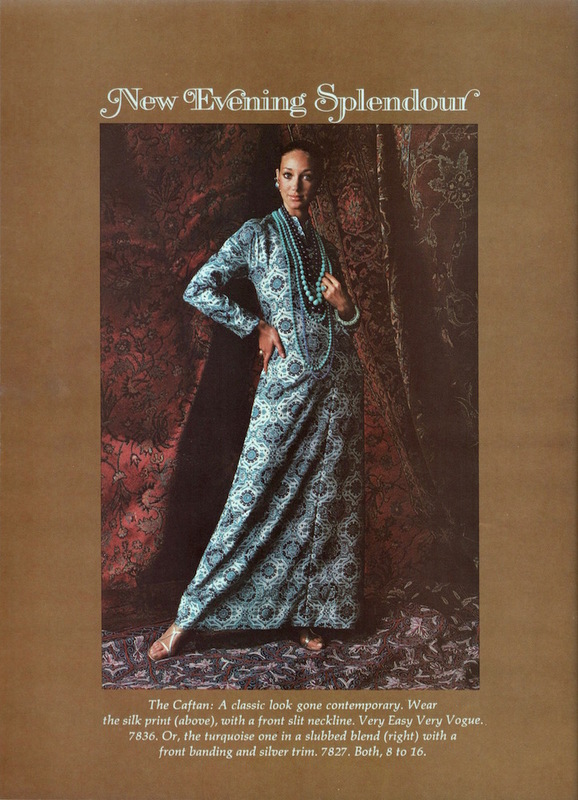 Vogue 7827 caftan, Vogue Pattern Book, June/July 1970. Photo: Otto Storch. Vogue 7834 poncho and pants, Vogue Pattern Book, June/July 1970. Photo: Otto Storch. Vogue 7697 in Vogue Pattern Book, June/July 1970. Vogue 7818 in Vogue Pattern Book, June/July 1970. 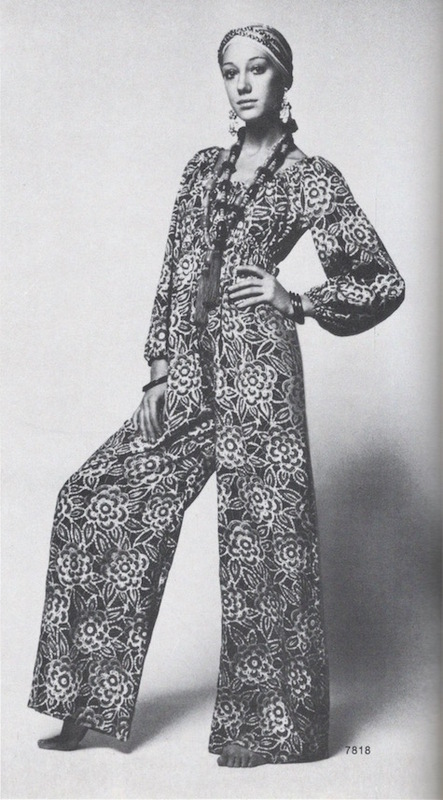 Vogue 7812 in Vogue Pattern Book, June/July 1970. Marisa Berenson on the runway for Tom Ford’s Spring 2011 collection. Photo: Terry Richardson. Image: Harper’s Bazaar.